1.The anti-virus software must be turned off when using it. (All anti-virus software of this kind of software will be used as a virus. After killing a file, it cannot be installed successfully. 3.The ECU adjusts the software winols 2.24+damos. This software is used by professionals. It is not for anyone who has no technical knowledge. Please know how to use it before purchasing. 2.XP VM loaded with a lot of map packs and ORI files. 4.Includes WinRAR, PDF reader, and Chrome. 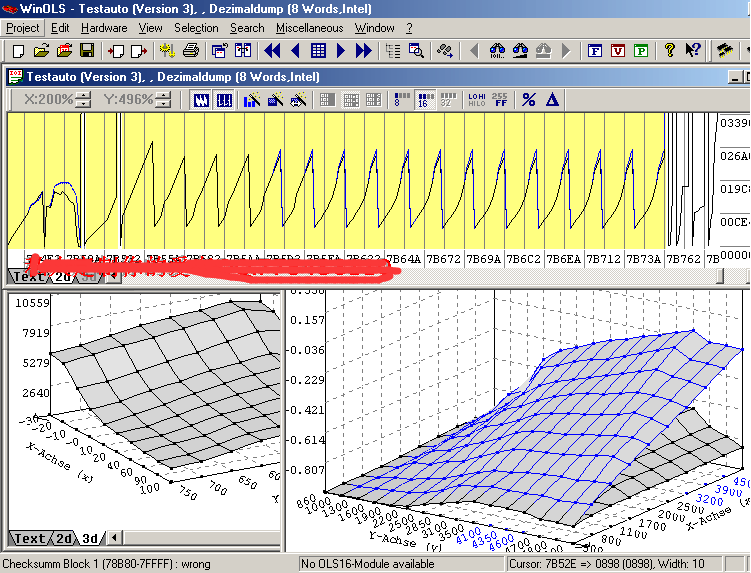 WinOLS is an application, Which is Written Especially to Modify the memory Contents of ECUs. Data like customer name, License Plate and Pictures can be added. Modifications of maps can be stored as ‘versions’ and can be commented. Up to 200 versions of one original file are Possible. The display of raw data takes place in 2D graphic or hex / decimal dump. Automatic processor detection to decide between code and data areas.Functions to search for maps and to put them down on the map list makes efficient working a lot easier. Maps can be shown as 3D/2D chart or as a table. Automatic search of ECU and software numbers. You can select either English or German as the interface language and switch between these. The concept of the integrated checksum correction has been kept up. By using DLL files the algorithms were moved out of the main program and thus are independent of the version used. Im-and export of binary files, Intel and Motorola-Hexfiles. All types can be zipped, coded and have swapped lines or be sent directly by mail.